Looking for interesting places to visit in Serbia? Home to mountain ranges and plains, as well as many national parks, the Republic of Serbia truly boasts an amazing geographical landscape which makes the country such an outdoors enthusiast magnet. Serbia is definitely one of the top 10 eastern European destinations to visit as it boasts Turkish and Roman influences which give the country such a unique and historic flavor. These influences translate today in delicious cuisine, amazing architecture and interesting attractions such as the National Museum, home to the Miroslav Gospel, which is the oldest manuscript written in the Cyrillic Alphabet. 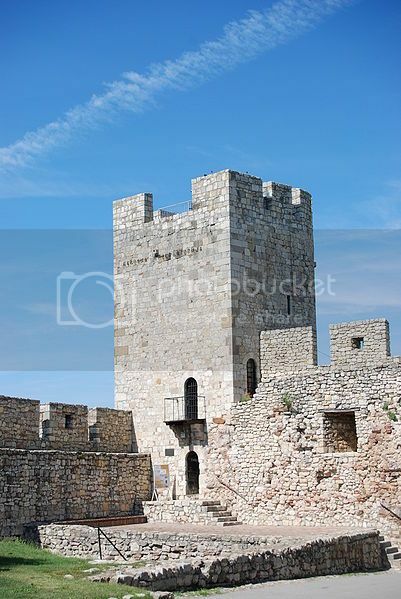 The capital city of Belgrade is one of the best places to start your vacation in Serbia because of the many attractions and things to do such as visiting Kalemegdan fortress (pictured). Kalemegdan fortress and park is one of the most interesting places to visit in Serbia, and it’s the oldest settlement and one of the biggest attractions in the country. You’ll literary need a whole day if you want to explore and see every attraction that the fortress complex has to offer. Apart from marveling at the fortress and walking along the beautiful promenades within the fortress, you can do many other things such as visiting the zoo, the military museum, the museum of natural science and the Observatory and Planetarium. A visit to Belgrade wouldn't be complete without exploring Belgrade’s beautiful squares such as Slavija Square, and beautiful districts such as Knez Mihajlova Street and Krunka Street where you’ll find the Temple of Saint Sava and Nikola Tesla Museum. 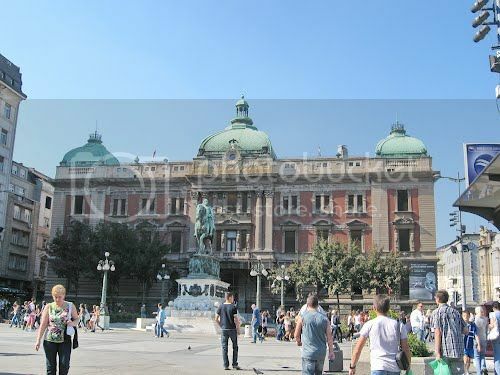 - The National Theater and the Serbian Academy of Sciences and Arts. The city of Novi Sad is located north of Belgrade and it’s also home to some of the most interesting places to visit in Serbia, hands down! One of them, it’s the imposing Petrovaradin Fortress where the popular EXIT music festival is actually held. The fortress is surrounded by beautiful scenery with lovely views of the Danube River, as well as other interesting attractions such as the Museum of Natural Science, the underground tunnels and the Clock Tower which is a popular tourist attraction. Another interesting thing to do in Novi Sad it’s taking a walking tour of the city center to soak in the beautiful sights and stunning façades. Places to look out for in the center of Novi Sad include the Republic Square and the beautiful Novi Sad Cathedral Square, and Dunavski Park where you can unwind after a lond day of touring the city’s attractions. 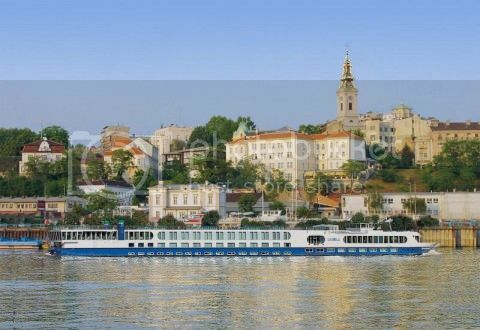 Novi Sad’s city center also overlooks the beautiful Danube River, and walking along the Danube River promenade is a marvelous way to soak in the spectacular views. Located in southern Serbia, Nis is one of the largest cities in the country and home to the University of Nis which gives the city such a vibrant vibe. Nis boasts beautiful tourist sites with some of the most interesting places to visit in Serbia being located here such as the Skull Tower, which is literary built with the skulls of Serbian rebels during their up rise against the Ottoman Empire. 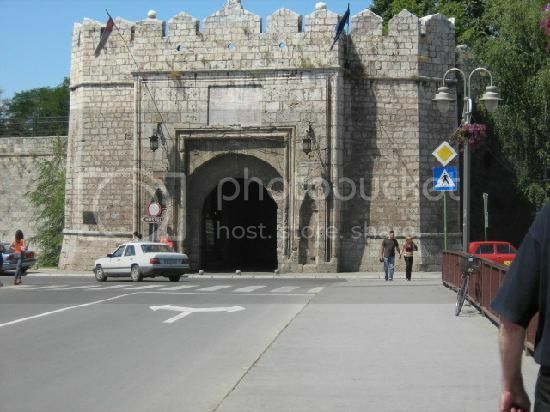 The Nis fortress which is one of the most peculiar and interesting fortresses in Serbia, s it's boasts an old Turkish bath as well as Roman sculptures. While in Nis, you also want to enjoy a walking tour of the city center to marvel at the architecture and Orthodox churches such as Nis Cathedral and Emperor Constantine Church. Davolja Varos literary translated in English means Devil’s Town, and it is another of the interesting places to visit in Serbia, as it’s one of the most stunning natural rock formations that you’ll ever come across Europe. Davolja Varos are tall and peculiar rock formations over 10 meters tall located on the Radan Mountains. If you’re basing your holiday in Leskovac and are looking for interesting day trips from Leskovac, these amazing rock formations are only 25 minutes drive from Leskovac.